The Overhead Hopper is ADI’s most independent hopper. It operates without the need for a direct source of vibration and electrical power. This independence combined with an extremely flexible mounting system yields a gravity hopper suited to perform exceptionally well in a wide variety of vibratory feeding applications. Ideal for applications where minimal vibration of the product is desired, the overhead hopper is capable of accelerated feed rates without promoting further damage to the product. The hopper’s unique shape controls the flow of material or parts. It will generally feed any part or product that does not have a tendency to severely bind or tangle. 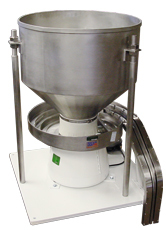 The overhead as a stainless steel hopper is frequently sought by Pharmaceutical and Medical Packaging Industry affiliates for its ease of use and versatility. 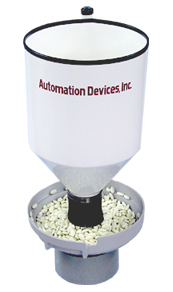 This custom designed gravity hopper was designed to meetFDA Requirements. The hopper is 3 cubic feet, constructed of stainless steel and features a continuous weld. 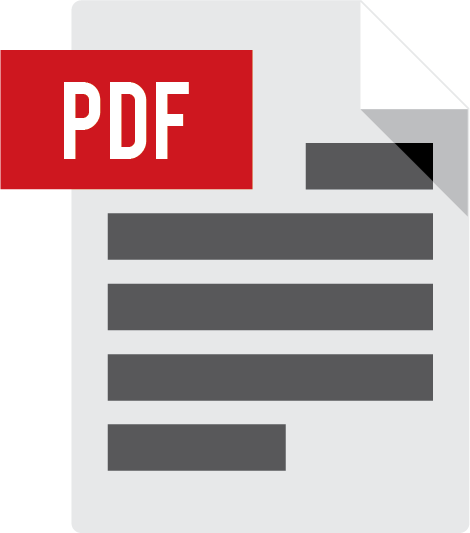 make adjusting discharge height easy. Generally, the distance of the rubber sleeve from the vibratory feeder bowl controls the flow rate; the more distance between the rubber sleeve and the feeder bowl, the higher the feed rate. However, the gravity hopper's feed rate can be influenced by utilizing either back pressure from parts in the bowl to constrict part feed rate or the vibratory feeder’s vibration to accelerate the release rate. Please consult an ADI engineer for information regarding the optimal size hopper for your vibratory feeding application.